These guys deserve all the accolades that Karma will bring. Kip Winger either suffers from multiple personality disorder (err, we mean is blessed with) or he’s actually a chameleon, deftly moving between multiple genres. His solo albums (under the name Kip Winger) are superb prog rock outings with thought-provoking lyrics and clever musical arrangements. Blackwood Creek (band with his brother Nate) delivers glorious ‘70s inspired classic rock. And Winger, the subject of this review, delivers commercial hard rock/metal music with a tasteful blend of hooks, harmonies, fists-in-the-air anthems, and stellar musicianship from the usual suspects including drummer Rod Morgenstein, guitarists Reb Beach and John Roth, and Kip singing lead vocals and playing bass and acoustic guitar. Karma is one of the best metal albums of late 2009, and we can’t stop listening to it. For long-time fans of the band, it really captures the heaviness of Pull with the catchiness of the debut CD, Winger — it’s not a rehashing of 2006’s IV. And for new fans, this is a great album to draw you into the fan camp. Reb Beach is one of the preeminent shredders from the ‘80s, and he wields his Suhr guitars like a surgeon wields a scalpel, slicing and dicing with the kind of precision that comes from years of commitment. It would be hard to really single anything out on this album, but the soloing on “Witness” really delivers an outpouring of emotion — I could picture him crying while delivering the devastating cavalcade of notes with Morgenstein adding to the fury and intensity behind him. From the opening track, “Deal With The Devil,” we were captivated. This arena rocking anthem is infectiously catchy in classic Winger style, while on “Big World Away,” Kip shows his many colors, singing with a modern, gritty edge that shows he’s not some ‘80s dude stuck in another universe. “Come A Little Closer” has a cool groove under some dropped tuning with very clever vocals that teeter dangerously on the edge of prog without actually going there. Since the beginning, Kip has always thrown some interesting instrumental into the albums, and our CD contained the European release bonus track, “First Ending,” a short classical piece that serves as a reminder that these guys are really schooled musicians. If we had to express any disappointment, our only complaint would be that drummer Morgenstein seems to have lost a bit of his classic, Dregs-era style, that came through more obviously on previous Winger albums, and on Kips’s solo work. The drumming is still outstanding — Morgenstein keeping things simpler is still better than half the metal drummers out there. We also think it’s time that Kip brought more of his solo album songwriting into the Winger band camp instead of keeping them separate. The audience is pretty much shared, the musicians are equally talented, and it would just elevate the entire Winger franchise to another level. Regardless of our quips, on Karma, the entire band sounds energized, aggressive, and passionate. Buy it. The Canon Logic delivers a danceable mix of all the best parts of many popular bands today. A fusion of Franz Ferdinand, Rogue Wave, and The Fratellis, this Brooklyn-based band portrays their energy and passion in a different way on each track. The album has everything: sweet piano riffs, killer vocal harmonies, a mix of vibrant bass and drums driving the songs, catchy lyrics, melodic guitar solos, and crisp, smoky vocals. Versatility seems to be a strong point in this band. Each instrumentalist plays multiple instruments: Tim Kiely is on lead vocals, guitar, keys, and bass; Mark Alu is on vocals, guitar, and keys; Sean Enright is on bass and keys; Josh Greenfield is on vocals and guitar; and Mike Mignano is on vocals and drums. It’s about time we had a new female guitar hero! Orianthi is, in fact, the lead guitarist on her album, and she’s damn good. The accomplished 24-year-old from Australia was the expected guitarist for Michael Jackson’s new live band, joining in the ranks of guitar legends such as Slash, Eddie Van Halen, and Jennifer Batten. She opened for Steve Vai in her native Australia when she was only 18 years old. Today, her debut CD is typical modern pop rock, with a vocal style similar to that of Kelly Clarkson, Michelle Branch, and Avril Lavigne. It was a bit risky to put hard rock lead guitar in these songs — major labels don’t believe much in showcasing musicianship in pop rock songs. But since Orianthi wrote most of the songs herself, the lead guitar stayed, which is a good thing, because it really helps to distinguish her from the other female pop rock singers — she’s a real bona fide rocker. Producer Howard Benson (All American Rejects, My Chemical Romance, Three Days Grace) and a few painfully familiar songwriters mastered the delicate balance of appealing to hard rock fans and teenyboppers alike. The hit single and second track on the album, “Suffocated,” belong to outsiders, while Orianthi wrote or co-wrote the rest of her album. Songs like “Feels Like Home” have a more Michelle Branch feel, whereas “Suffocated” has a head banging-meets-alternative rock feel, and “Bad News” hits that Avril chord. Either way, the riffs that are either Santana-clean or coated in distortion compliment the music, slipping into every phrase wherever Orianthi can get away with it. Clearly, her parents did an admirable job of raising her on ‘80s hair bands and famous shredding guitar players. The result is a sound very similar to Santana’s Shaman album, on which he collaborated with artists such as Michelle Branch, Nickelback’s Chad Kroeger, and Dido. In fact, it was Orianthi’s association with Santana that brought her to the attention of Paul Reed Smith, and she now plays his guitars exclusively. Style-wise, Orianthi has yet to really develop her own voice on the guitar. Her riffs and leads are somewhat generic ‘80s metal, with familiar tapping and precise runs in familiar keys. We didn’t find anything specifically memorable in those solos — there are no big melodic hooks to latch onto… just a lot of familiar noodling and fast runs. But the fact that it’s a girl doing the shredding is what makes the lead work really stand out, as very few females play guitar with the level of mastery that Orianthi has achieved. The gem of the album for many serious musicians is probably “Highly Strung,” Orianthi’s fast and energetic guitar duet with Steve Vai. Although her guitar work is omnipresent through the other songs, the presence of an instrumental guitar track is a great thing. Not only does this track showcase Orianthi’s ability to hang with the big boys, but it’s the best possible way to get more girls playing some serious guitar. We need more than one female shredder per generation, ladies! The only thing that really peeves us about the album (besides the major label influence) is her over-processed vocals. The guitar work is clearly her strong suit, but the vocals sound a bit too mechanical at times. None of this takes away from the fact that the album is fun listening. The songs are catchy, and there’s enough shredding to keep boyfriends and girlfriends listening happily ever after together. A must-read for any band trying to make or maintain a career in the digital millennia. This month brings us the most important book we’ve read about the music business in a decade — Bobby Owinski’s essential Music 3.0. Whether you’re a professional musician in a well-known band that started back in the ‘80s or you’re trying to break the latest band, if you’re over 30 years old, you need to read this book! The back cover of the book states “Everything you knew about the music business has changed,” and it is right on the money, the key word being knew. If you’ve been trying to put years of personal industry experience to good use trying to break your latest band, stop wasting your time — you’re going about things all wrong. And if you’re wondering why your record label doesn’t seem to be doing enough for your established act anymore, Music 3.0 makes it painfully clear how the industry has changed. Whether or not this industry transformation was evolutionary or devolutionary, only time will tell. But fortunately, Bobby Owinski tells you how to embrace the new electronic world order. The book explains the evolution of the music business through various cycles — Music 1.0, 2.0, 2.5, etc., which leads up to the current state of affairs. There’s a lot more to thriving in today’s music scene than just launching a MySpace or Twitter page, and through the pages of Music 3.0, we learned a lot about what you should be doing today. Music 3.0 talks about the new ways to market and distribute your music, how to use social media effectively, how to actually make money, and who is important on your business team. For example, did you know that the record label is now the least important piece of the puzzle today for all genres other than rap? That’s a sharp contrast from those years you’ve spent in pursuit of a record deal as the almighty end game. And radio? Television exposure? Those things aren’t nearly as important as they used to be, either. Critical to your success today is building your fan base, or your tribe. Understanding the behavior of your tribe, leading it, and growing it, are just some of the important topics covered in this book. Industry veteran Bobby Owinski devotes the last third of his book to interviews with industry heavyweights — from major label executives to social networking marketing firms, in order to present a well rounded picture of the industry from many different angles. The interviews provide great insight into what’s taking place with music, the business, and the technology that is now so critically tied to bands success. For young musicians, this book provides a great overview of what you should do to achieve commercial success from the marketing perspective. It stays away from the details of music publishing, record deals, copyrights, management contracts, etc. —you’ll want to read some other books on those topics. But no matter what stage you’re at in your musical career, Music 3.0 is an invaluable read, and what it explains just might change everything about what you’re currently doing to achieve your musical goals. 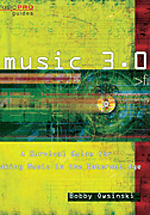 One final note: we see this book being primarily focused on the changing music scene in the United States, where digital downloads have transformed our nation more so than anywhere else in the world. If you’re in a band based in Europe or other parts of the world, the book will provide some great insight into marketing your band in the USA, however much of its advice may not be applicable to the music scene in your part of the world. We've partnered with this book's publisher, Hal Leonard, to offer MusicPlayers.com readers a 25% discount on the purchase of this book as well as numerous other titles of interest to our serious musician audience. Follow this link or click one of the Hal Leonard banner ads on our site to reach the private book discount page. “Ratt n’ Roll” is NOT dead! Too often, we hear of a band from a bygone era “returning to form” on their next release and oftentimes the listener is ultimately left wondering if the band themselves have a clue as to what their signature sound actually is. So it is with great delight we announce that not only is Ratt’s new release, Infestation, a true return to their roots, it is an album that easily stands up alongside earlier classics like Invasion of your Privacy and Dancing Undercover. After the curve-ball that was the bands self-titled 1999 album, I honestly didn’t expect much from this release, let alone a re-birth of the band. But the opening track “Eat me Alive” announced the band’s return with a classic Warren DeMartini riff, sounding every bit like an updated version of the band’s own “You’re in Love.” The album’s first single, “Best of Me,” has an almost Van Halen-esque swagger to it, and tracks such as "A Little Too Much," "Look Out Below," "Lost Weekend," "Garden Of Eden," and "Take A Big Bite" are nothing short of instant Ratt classics. Perhaps it’s the addition of new guitarist Carlos Cavazo (who replaced the late Robbin Crosby) that infused this band with new life. More than just a foil to DeMartini’s still-incredible playing, Cavazo adds an additional layer of crunch to the delivery in addition to sharing lead guitar duties. DeMartini and Cavazo are panned left and right respectively on this release, making the guitar parts discernable and instantly recognizable in the stereo mix. The overall mix is superb and modern sounding, benefitting from the production efforts of Elvis Baskette, well known for his production work with another personal favorite of mine, Alterbridge. Despite rumors to the contrary, Steven Pearcy sounds quite wonderful here and no different from any other time in his career (including the classic ‘80s period). The band may be older, but they certainly don’t sound like it. With the possible exception of the quasi-ballad "Take Me Home,” there is nothing not to like here if you fancy bluesy, rollicking, feel good, hair metal. Infestation is classic Ratt music, make no mistake about it. Check out our interview with Ratt guitarist Warren DeMartini here! Nostalgic post-punk anthems that still sound fresh and new. Over the last 10 years, there has been a renaissance of new bands digging back to the late ‘70s/early ‘80s post-punk sound to find inspiration. Interpol seemed to kick it off, with a widely heralded and frequently “favorited” debut album that seemed to channel Joy Division through to a modern audience. For post-punk aficionados like me, it meant a resurgence of reissues of classic albums as a by-product of the new musical motif. Watching from the sidelines, I've taken a passive listen to a lot of the newer post-punk acts: The Editors, She Wants Revenge, etc, and nothing really grabbed my attention until my wife played me a song she heard on good ol’ terrestrial radio (yes, it still exists) — “To Lose My Life” by White Lies. With a rolling bass line and baritone vocals darting in between Ian Curtis and Ian McCulloch, I kept listening. Then the chorus hit and it was all over; we immediately purchased the album on iTunes and went out for a drive with our freshly updated iPod. With ten tracks spanning a short 45 minutes on repeat, we managed to play it about five times through over the course of a day in the car. It's unabashed nostalgia wrapped into one band and one incredibly well done debut album. Calling on the ghosts of Joy Division/New order, Echo and the Bunnymen, Teardrop Explodes, etc., there are moments on every song where you can hear a little glimpse of a collective post-punk legacy which the band themselves deny ever hearing. Whether they were directly influenced by that period of music or not, it shows here in spades and warms the cockles of my jaded, Mancusian, post-punk heart. While it's definitely an album that draws comparisons to the past, it also stands up as a fantastic straight-ahead rock album, and fits in well with other recent bands, like Muse, in showing a resurgence in intelligently produced rock. Highlight tracks include “Death” with its fuzzed-out bass line (laid down by Charles Cave) and string synth buildup dropping to a spring-reverb drenched vocal, and “To Lose My Life” dishes up Muse-like bass and drum swing runs with a chorus that hits you with a wall of guitars and a frantic drum blast while singer Harry McVeigh passionately belts out “Lets grow old together, and die at the same time.” “E.S.T. (Electro Shock Therapy)” delivers tom rolls in spades, plus adds spaghetti western guitar solos, low-passed synth pads and evocative lyrics that feel hauntingly similar to Joy Division material.